It has been a long and cloudy spring but summer is finally here. 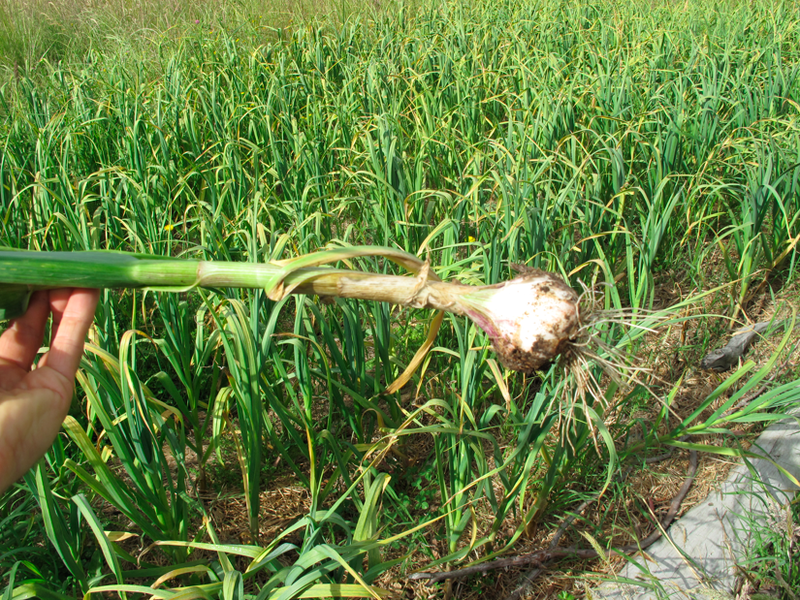 We have staggered our garlic harvest over three weeks due to three different plantings in June and July. 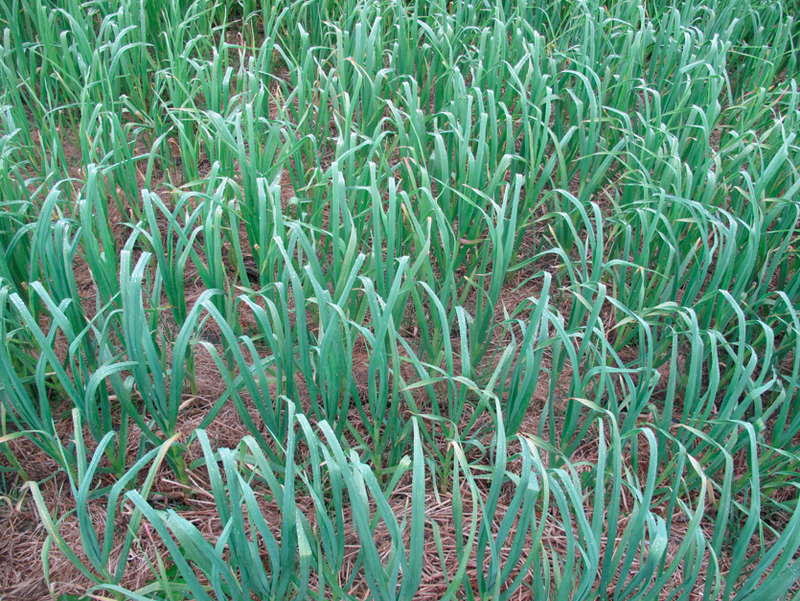 On the new property it was a rush to even get the garlic in the ground before August. But with some help we managed to get about 800 in (on?!?) the ground. It was a dry winter so we had to water a little, but the heavy mulch did a great job of suppressing weed competition and ground evaporation. 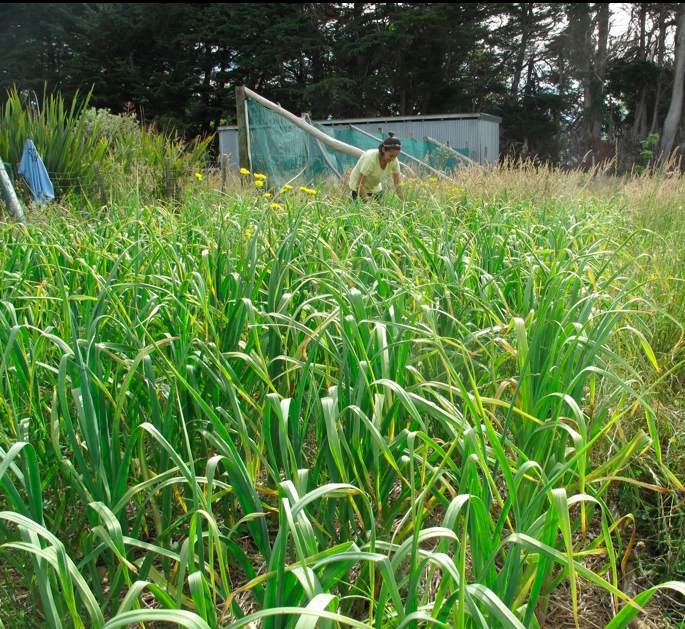 Although we got this garlic in 3 weeks later in July, we harvested only one week late because of the greater hours of sunlight in December. The first thing to do is pull a few bulbs and check to see if the cloves are separating or the skin is starting to split. Then go hard and get it out of the ground. Yow! This couch grass grew right through this bulb. 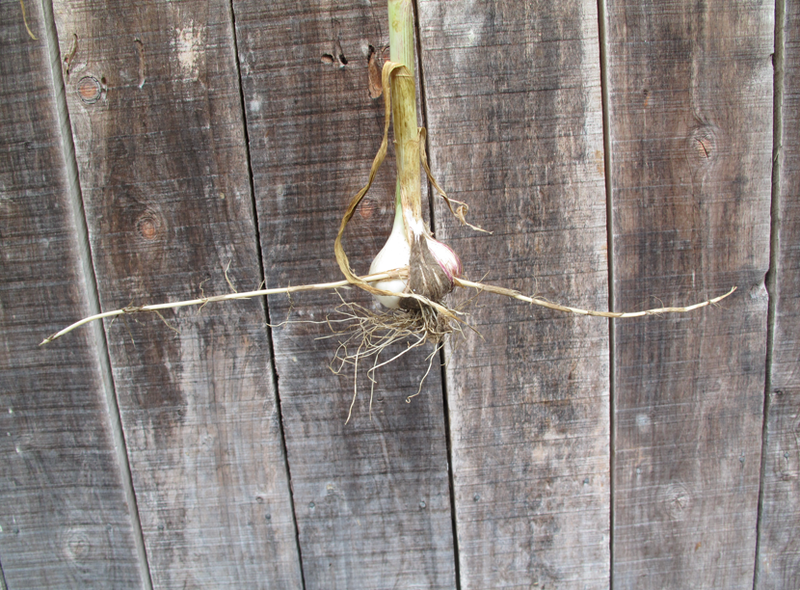 I hang our garlic for three weeks to cure and then cut off the stalk. The bulbs can keep for up to 12 months, but many will only last 10. 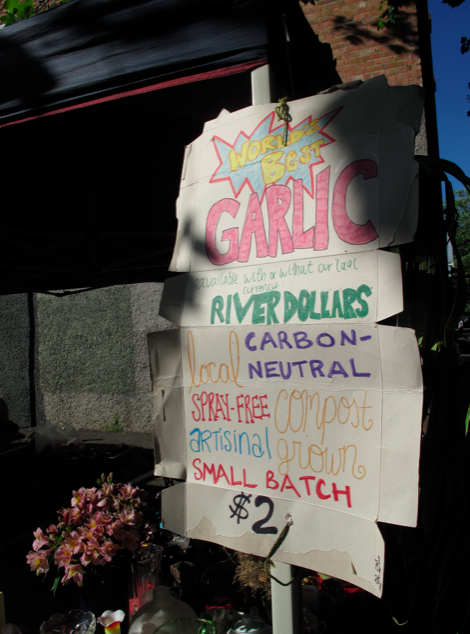 We sell much of our garlic at the local market on Saturday mornings in the city. People who love to cook appreciate great garlic. 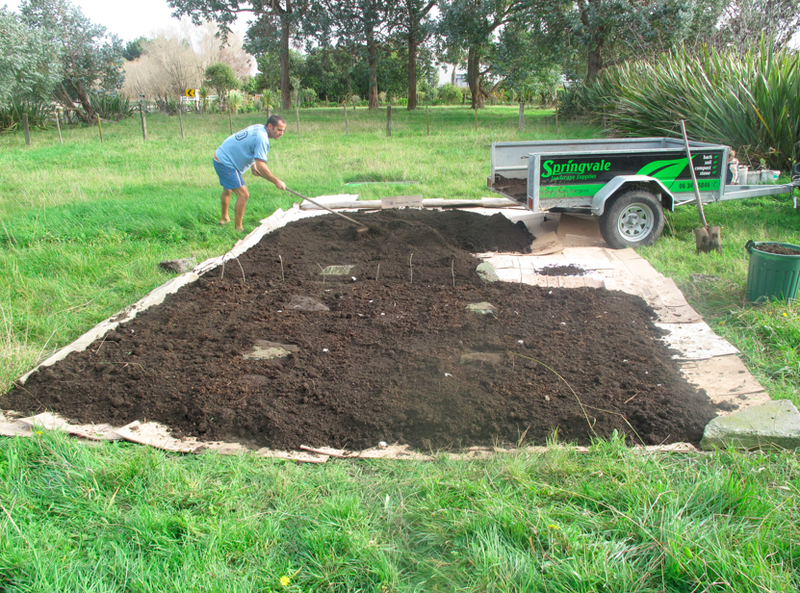 It is a niche crop that serves the small holder fairly well. Interesting to see the couch grass growing through the garlic – definitely a formidable plant! WOW!! What a harvest. They all look beautiful. I bet they smell even better. 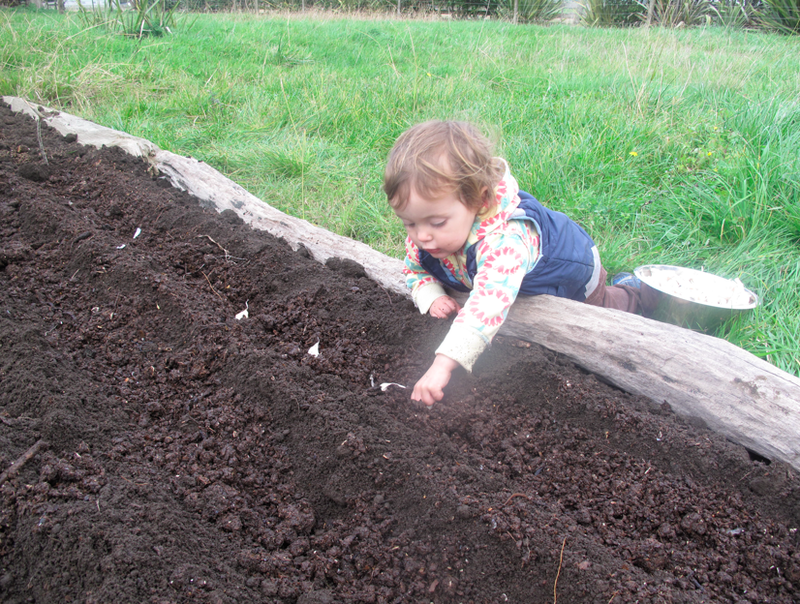 We have so much garlic to plant but our winter came too fast and strong in WI. So do you think they will weather the winter? If so, any tips on how to keep them until next Fall? THANK YOU!! Unfortunately they won’t last all the way to next autumn. I have planted garlic through snow in NH, but the ground was not frozen. It may be too late now.